Everyone knows that Mexico is positively littered with ancient archaeological ruins and beautifully preserved colonial strongholds, but excluding the obviously ancient pyramids, what are the country’s oldest and most must-visit edifices? Some are crumbling, whereas others are well preserved, but here are the top 15 oldest buildings that you need to check out. One of Mexico’s (and possibly north America’s) oldest remaining colonial buildings is the Casa de Cortés in Veracruz. Due to its convenient port location, Veracruz state as a whole is full of colonial architecture; however, La Antigua’s Casa de Cortés — allegedly constructed between 1520-23 — is one of the most historically significant. 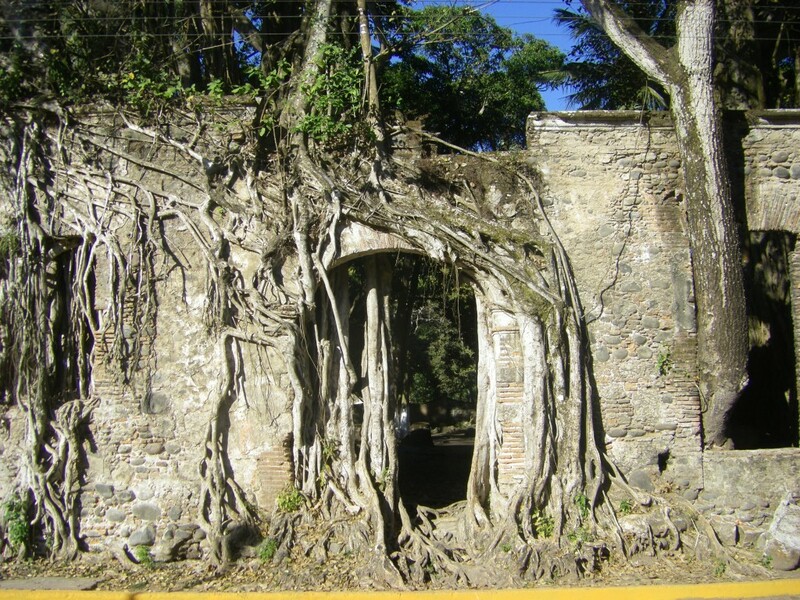 While it is now in major disrepair, given the ceiba trees that have grown underneath and through the walls, it’s still an unmissable and important building. 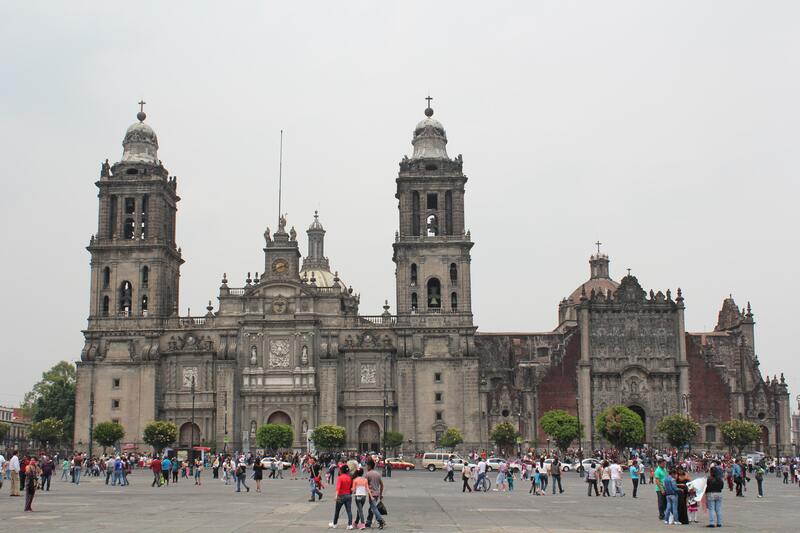 No list of Mexico’s must-visit, oldest buildings would be complete without the obligatory mention of Mexico City’s Catedral Metropolitana. This clocks in as the oldest cathedral in the Americas and was, like many Spanish conquistador temples and churches, built atop sacred Aztec ground. Commissioned in 1521, building began on the cathedral on 1573. Mexico City’s Palacio Nacional is merely another example of Spanish conquistadors asserting their dominance by building over indigenous temples and monuments. 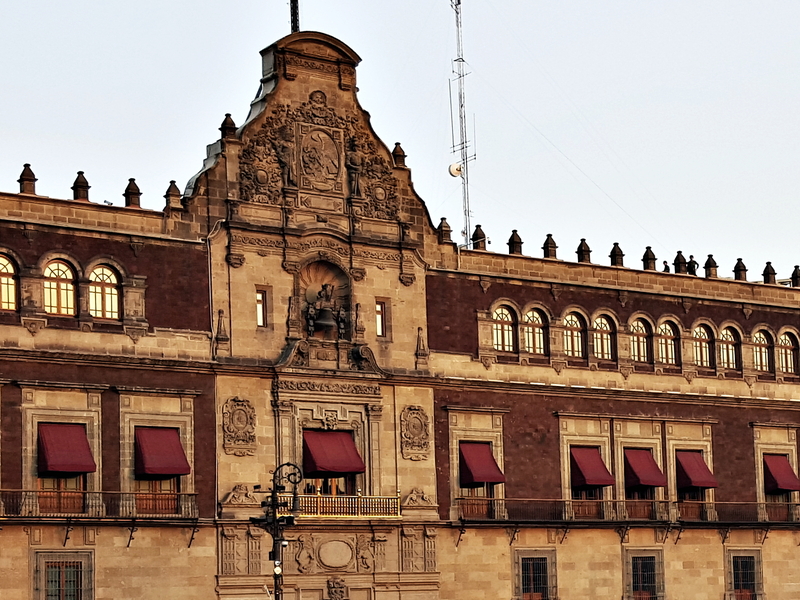 Work began in 1522 on this sprawling building, which is now best known as the building from which the Mexican president gives the annual Cry of Independence. In the creation of this building, the Palacio de Moctezuma was entirely wiped out of existence. 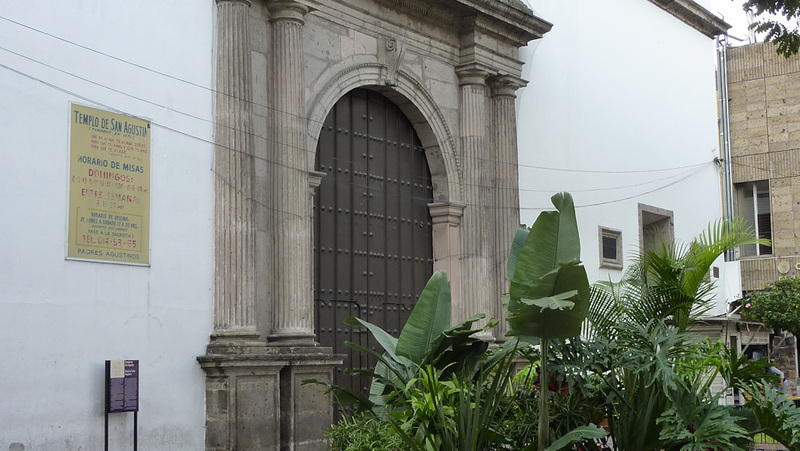 The Palacio de Cortés, which Hernán Cortés himself ordered to be constructed a few years after the conquest, is situated in Cuernavaca, Morelos. Estimates put the construction of this impressive building at somewhere close to the year 1526, and it is well-preserved. While once Cortés’ residence, the palace is best known nowadays for housing the Museo Cuauhnáhuac, an impressive collection of Morelos state history. 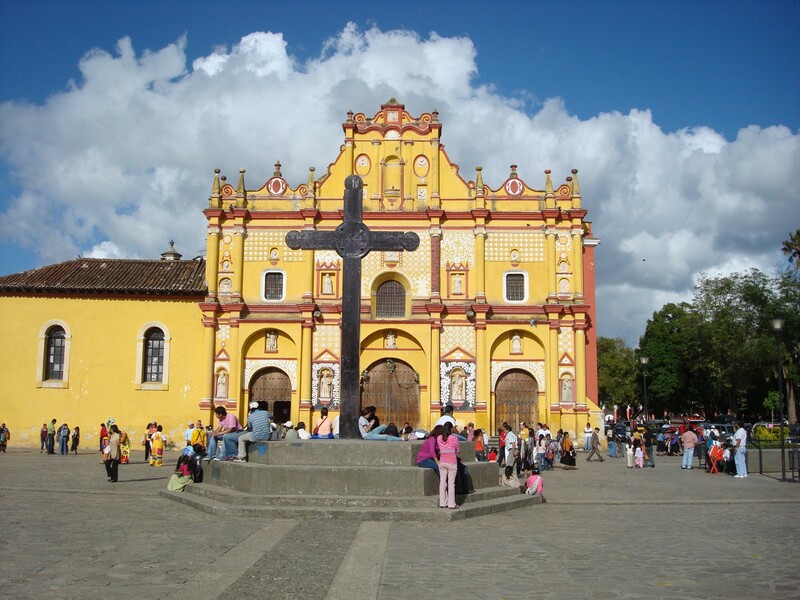 San Cristóbal de las Casas is a gorgeous colonial city, but the jewel in its crown is the 16th century cathedral that resides in the central square. Building began on the Catedral de San Cristóbal de las Casas in 1528, although admittedly wasn’t completed until the following century. It is an emblematic symbol of Chiapas, with a yellow and white façade and an eclectic amalgamation of architectural styles. Unusual in that it is situated in its own walled compound rather than in the city’s central square, the Catedral de Cuernavaca is one of the few surviving 16th century edifices to be situated near the Popocatépetl volcano. Only promoted to cathedral status in the late 19th century, the construction of the cathedral and surrounding buildings began around the year 1529 but was likely not completed until 1574. 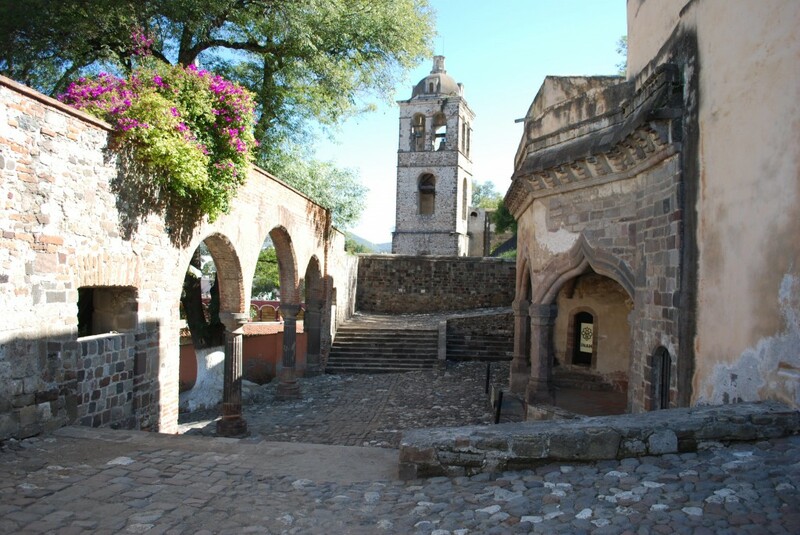 Tlaxcala, never a state to miss out on the historically interesting action, also has one of Mexico’s oldest and most intriguing buildings within its boundaries — the Convento de San Francisco, with its distinctive gabled roof. 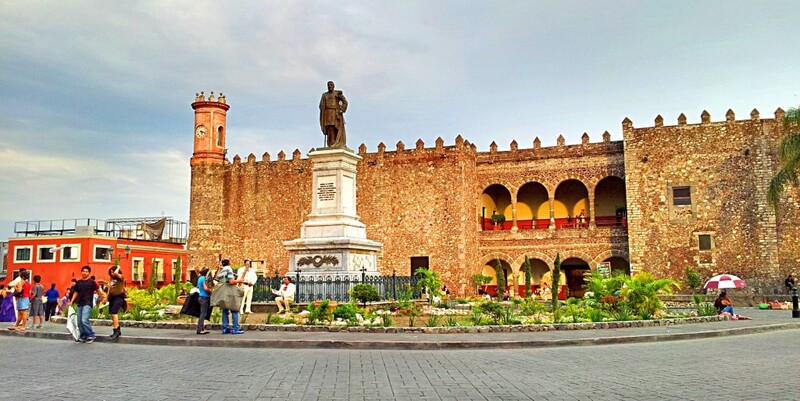 Built between the years of 1537-40, its situated on a quaint, tree-lined alley just off the city’s central plaza and houses the Catedral de Nuestra Señora de la Asunción, a name it sometimes goes by. 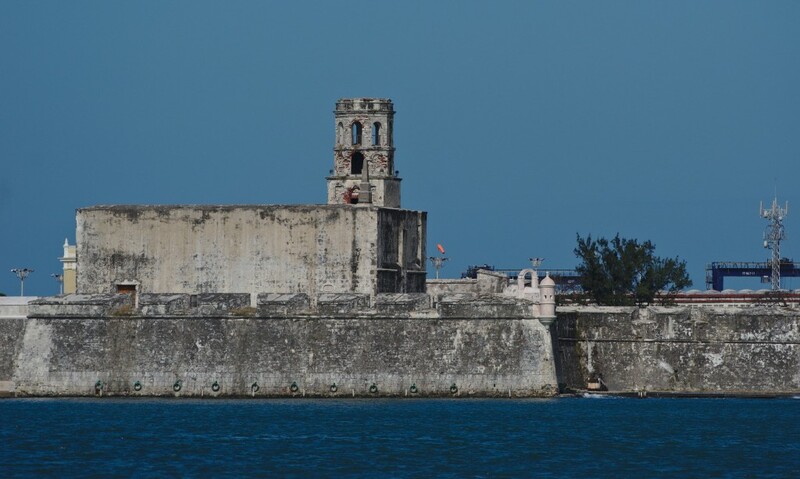 Construction originally began on the massive fort of San Juan de Ulúa in Veracruz way back in 1565, although various expansions were effected at later dates. 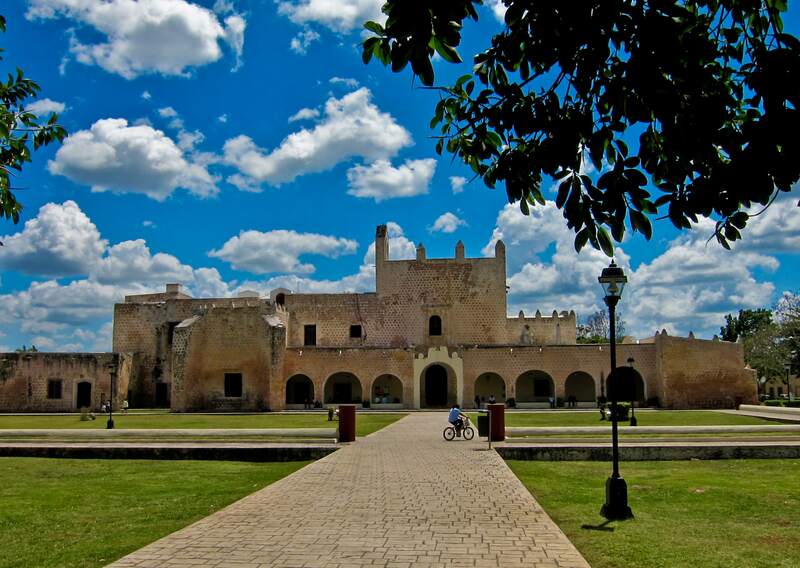 Made up of fortresses and prisons, plus what was once a palace, this was an incredibly important stronghold of colonial Mexico and was once the site of capture of Englishmen Sir John Hawkins and Francis Drake. Today, it is a museum and famed tourist attraction in Veracruz. 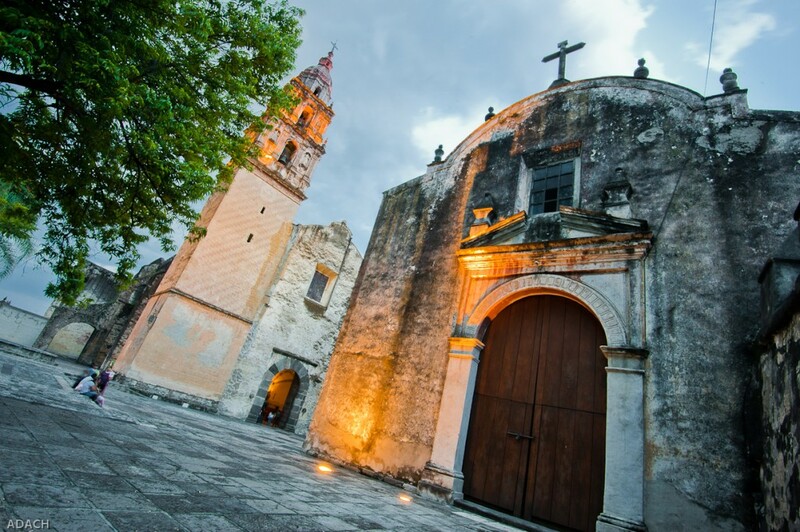 Valladolid, a quaint town in the Yucatán península, is home to the Convento de San Barnardino, which was founded by Franciscans in the year 1560. Featuring a subtle Franciscan style with unmistakable Baroque influence, this convent is actually made up of several sections: the church, chapel, ex-convent, atrium and gardens. This is a must-visit destination the next time you’re passing through Yucatán. Constructed atop the ruins of a Mayan pyramid by the name of Tiho, you could argue that this edifice has a double whammy of historical significance. 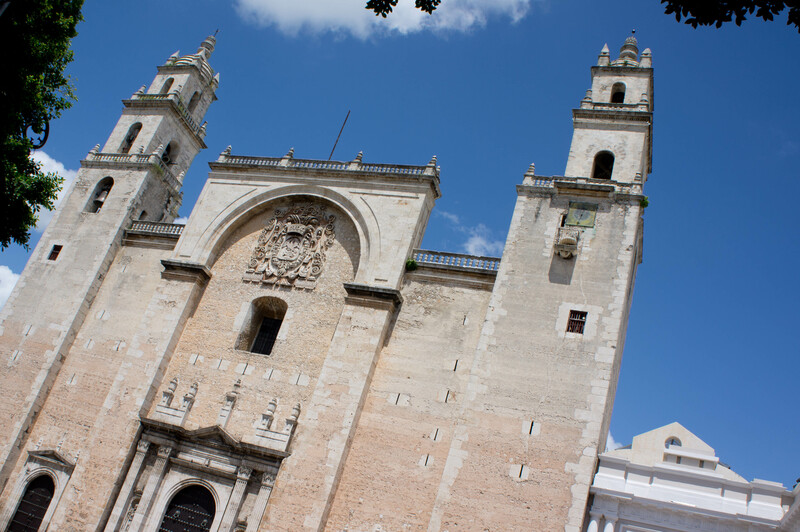 However, the only part that remains today is the simple but beautiful Catedral de Mérida, constructed in the year 1562, soon after the conquistadors arrived in Mexico. As such, it is considered one of the oldest cathedrals in the Americas and shows much influence from Andalucia, Spain. Our only Guadalajara entry on Mexico’s oldest buildings list, the construction of the Templo y Ex Convento de San Agustín began in 1573 and features an impressive Baroque facade and some well-preserved paintings on its interior walls. It is nowadays best known as the Universidad de Guadalajara’s music school, although it was previously a religious center. 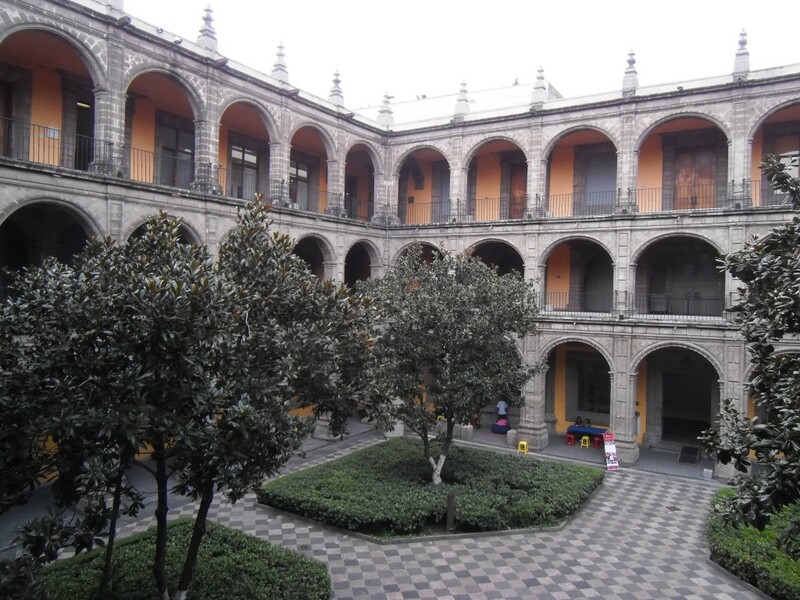 One of Mexico City’s oldest buildings in itself, the Colegio de San Ildefonso is also one of the country’s most historic edifices. Originally founded in 1588 by Jesuits, it is often considered the country’s first university, or at the very least, one of Mexico’s most important study hubs and the birthplace of Mexican muralism. Nowadays, this well-preserved building is an excellent museum that houses both temporary and permanent exhibits. To round off our guide, we recommend paying a visit to what is supposedly the world’s oldest railway station building. Although it’s much younger than many of the aforementioned buildings (it was inaugurated in 1881), surely this fact alone warrants paying a visit. 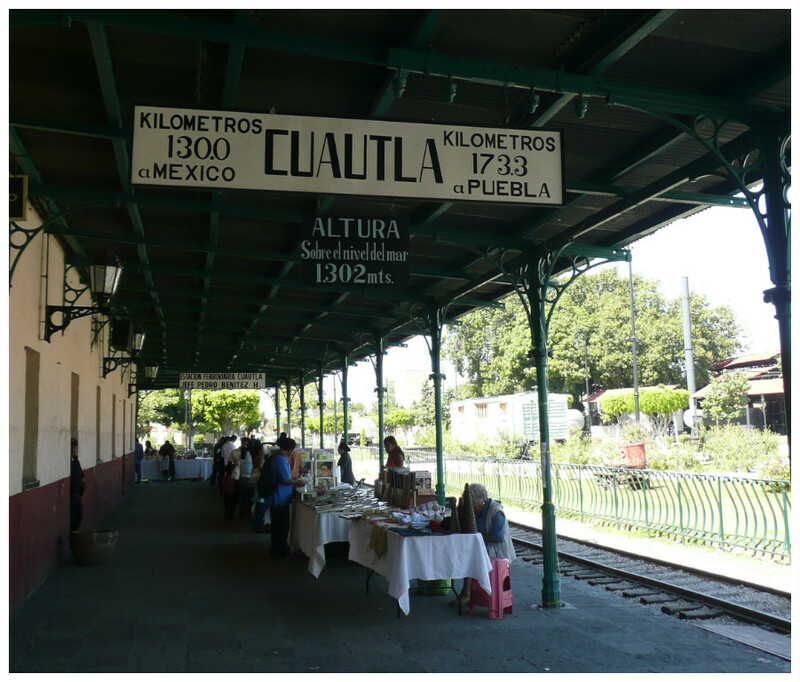 Plus, nowadays it plays host to a railway museum and a narrow-gauge steam engine that runs regularly to the cecina town of Yecapixtla.